Here are some snazzy birthday facts about 23rd of July 1957 that no one tells you about. Don’t wait a minute longer and jump in using the content links below. Average read time of 10 minutes. Enjoy! What day was my birthday Jul 23, 1957? July 23, 1957 was a Tuesday and it was the 204th day of the year 1957. It was the 30th Tuesday of that year. The next time you can reuse your old 1957 calendar will be in 2019. Both calendars will be exactly the same! This is assuming you are not interested in the dates for Easter and other irregular holidays that are based on a lunisolar calendar. There are 95 days left before your next birthday. You will be 62 years old when that day comes. There have been 22,550 days from the day you were born up to today. If you’ve been sleeping 8 hours daily since birth, then you have slept a total of 7,517 days or 20.58 years. You spent 33% of your life sleeping. Since night and day always follow each other, there were precisely 763 full moons after you were born up to this day. How many of them did you see? The next full moon that you can see will be on April 19 at 11:14:00 GMT – Friday. Fun stat: Your first one billion seconds (1,000,000,000) happened sometime on March 31, 1989. If a dog named Ares - a Siberian Husky breed, was born on the same date as you then it will be 294 dog years old today. A dog’s first human year is equal to 15 dog years. Dogs age differently depending on breed and size. When you reach the age of 6 Ares will be 42 dog years old. From that point forward a medium-sized dog like Ares will age 4.5 dog years for every human year. A Knights Hospitaller fleet scores a crushing victory over an Aydinid fleet off Chios. In the United States, William Austin Burt patents the typographer, a precursor to the typewriter. American Civil War: Henry Halleck takes command of the Union Army. Fox Film buys the patents of the Movietone sound system for recording sound onto film. The first station of the Indian Broadcasting Company goes on the air in Bombay. The United States’ Under Secretary of State Sumner Welles issues a declaration on the U.S. non-recognition policy of the Soviet annexation and incorporation of three Baltic states: Estonia, Latvia and Lithuania. World War II: The German offensives Operation Edelweiss and Operation Braunschweig begin. General Muhammad Naguib leads the Free Officers Movement (formed by Gamal Abdel Nasser, the real power behind the coup) in overthrowing King Farouk of Egypt. The Greek military junta collapses, and former Prime Minister Konstantinos Karamanlis is invited to lead the new government, beginning Greece’s metapolitefsi era. What does my birthday July 23, 1957 mean? Your birthday numbers 7, 23, and 1957 reveal that your Life Path number is 7. It represents analysis, awareness and understanding. You are the searcher and the seeker of the truth. 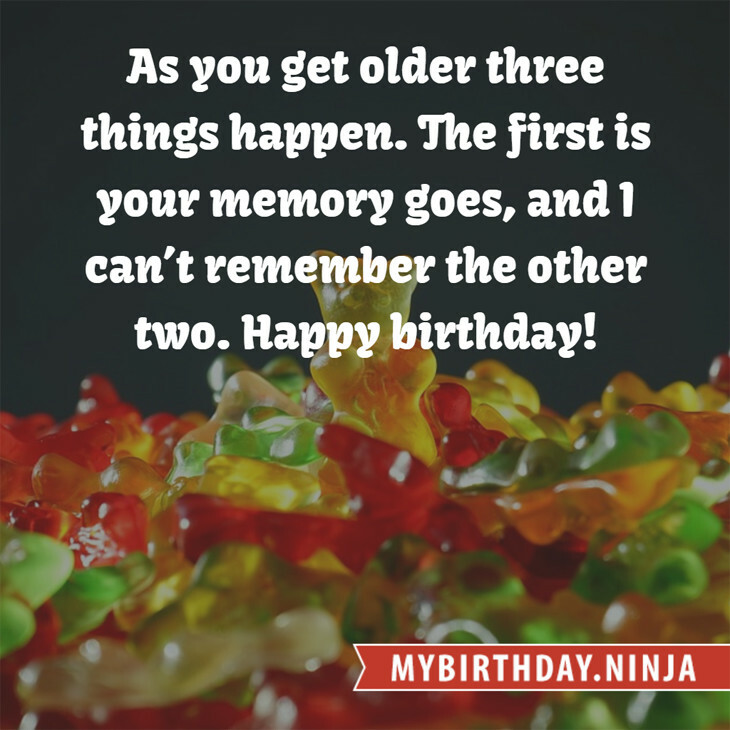 The following celebrities also have the same life path number: Frank Morgan, Christopher Judge, John Oates, Mel Gibson, Mariángel Ruiz, Casey Crescenzo, Ken McMullen, Kristen Johnston, Allison Iraheta, T.I..
What is the birthday horoscope for Jul 23, 1957? The Western zodiac or sun sign of a person born on July 23 is Leo ♌ (The Lion) – a fixed sign with Fire as Western element. The ruling planet is Sun – the center of our universe. According to the ancient art of Chinese astrology (or Eastern zodiac), Rooster is the mythical animal and Fire is the Eastern element of a person born on July 23, 1957. Fun fact: The birth flower for 23rd July 1957 is Larkspur for haughtiness. 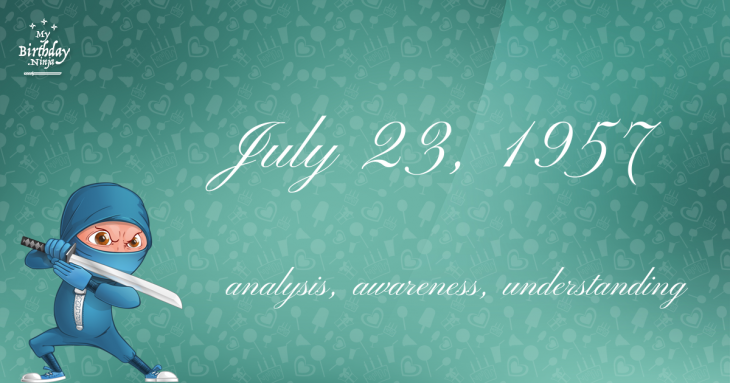 What is the Love Match for Jul 23, 1957? When it comes to love and relationship, you are most compatible with a person born on August 1, 1948. You have a Love Match compatibility score of +143. Imagine being in love with your soul mate. On the negative side, you are most incompatible with a person born on February 6, 1962. Your incompatibility score is -199. You’ll be like a cat and a dog on a love-hate relationship. Arf-arf, I want to bite you. Meow-meow, stay away from me! I do not know how you feel about this, but you were a male ♂ in your last earthly incarnation. You were born somewhere around the territory of Wales approximately on 1550. Your profession was chemist, alchemist, poison manufacturer. How many babies were born on July 23, 1957? Base on the data published by the United Nations Population Division, an estimated 102,068,660 babies were born throughout the world in the year 1957. The estimated number of babies born on 23rd July 1957 is 279,640. That’s equivalent to 194 babies every minute. Try to imagine if all of them are crying at the same time. What is the popular baby name on 23 Jul 1957? Here’s a quick list of all the fun birthday facts about July 23, 1957. Celebrities, famous birthdays, historical events, and past life were excluded. Try another birth date of someone you know or try the birthday of these celebrities: June 13, 1951 – Howard Leese, American guitarist and producer (Bad Company and Heart); October 30, 1919 – David Werdyger, Polish-American singer (d. 2014); July 20, 1967 – Courtney Taylor-Taylor, American singer-songwriter and guitarist (The Dandy Warhols).